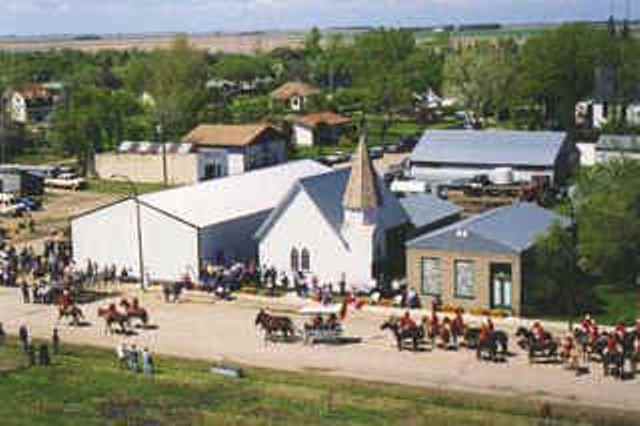 The museum complex consists of six separate buildings: Union (Royal) Bank (1906), Anglican Church (1914), Vehicle Display Building (1999), Blacksmith Shop (1927), new Display Building (2006), and the Menota country school (1896-1952). The bank and church buildings contain pioneer household and farm artifacts, a clothing display, two Simplex “silent movie” projectors, military clothing and picture display, photograph collection, mounted whooping crane (1903), a hand-powered table saw, a ledger (1864) from a Great Lakes schooner “Thornton”, cameras, and various radios and phonographs. 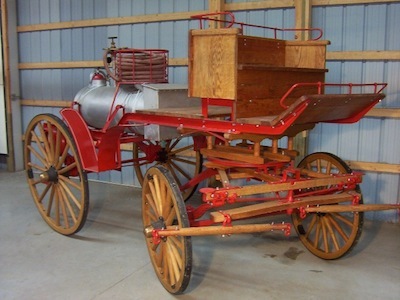 The vehicle display building contains vintage cars, trucks, and tractors; a 1913 Case steam engine; three former fire-fighting vehicles (horse-drawn wagon, two trucks); farm implements; WWII “Weasel” snow track machine. 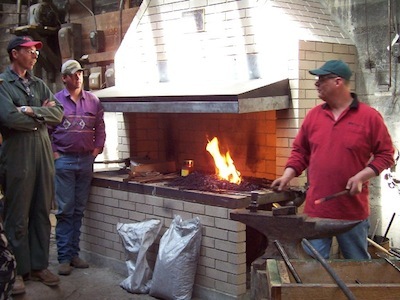 The restored Amos Blacksmith Shop, operated from 1899 to 1960, contains blacksmithing tools as well as horse-drawn vehicles and other related artifacts. The new display building, a renovated Paterson elevator coal shed contains various displays: general store; sports history; medical articles; hand-loom, knitting and sewing machines; grain cleaning and testing items. The Menota School building opened in 2012 contains all our school-related items.